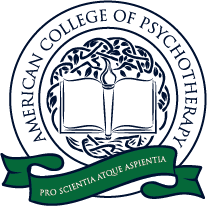 The American College of Psychotherapy™ was conceived and grew out of a recognition that the clinical practice of mental health counseling has experienced dramatic changes over the past few decades. Therapists can no longer rely upon traditional techniques of treatment that have served as the foundation of most practices. The advent and implementation of neuroscience, integrative medicine, and psychophysiology has dramatically altered the psychotherapy landscape. Those who fail to recognize the importance and the opportunity to revolutionize the approach to treatment, will find themselves out of touch with the new standards of practice. This results not only in a loss of efficacy but also impacts their ability to attract patients searching for clinicians on the forefront of the latest modalities of care. The American College of Psychotherapy™ was formed to bridge the gap between research and training and to equip clinicians for efficacy in the most innovative, evidence-based, practices in psychotherapy. Our mission is to promote the profession of psychotherapy, to advance the delivery of ethical and qualitative patient care, to provide the educational resources through an interdisciplinary dialogue, while developing professional skills and personal growth within an integrative paradigm. The field of mental health and psychotherapy has previously been fragmented both in scope of practice and in degrees of training. Our intention is to develop a unique opportunity for a multidisciplinary collaboration with a united, standardized, evidenced-based curriculum for psychotherapy. We acknowledge the richness of our history but also the need to integrate pertinent research, through high quality post graduate education provided in a cost- effective manner. Our commitment is to provide continued opportunities for growth and development to our members. To accomplish this, we consulted with licensed professionals, including physicians, professors, psychologists, psychotherapists, counselors, social workers, marriage and family therapists, medical and mental health providers. With the information derived from this collaboration, we created an organization composed of addiction counselors, psychiatrist, psychologist, physician assistants, nurses, nurse practitioners, allied health professionals, neuroscientist, clergy, functional and integrative medical practitioners, ethicists, and students. We also encourage focus on the personal and professional growth of the provider as being essential to the quality of the care they provide, as well as their quality of life and overall wellness. We do this through professional education and support, conferences, workshops, video streaming, webinars, and more. The very exciting news is the CEU’s offered through the American College of Psychotherapy™, and those provided by “Approved Providers and Strategic Alliances” will not only allow you to meet your state licensure requirements, but allows those same CEU’s to qualify you for Board Certification by the American Board of Psychotherapy™. This is an organization created to recognize those who have achieved additional training and a level of excellence in ethics, professionalism, and competence. The American Board of Psychotherapy Certifications™ include not only American Board Certified Psychotherapist™, but further distinctions of Fellow, Diplomate, and a variety of Specialist Certifications in multiple areas. The field of Psychotherapy has never been more important or exciting than it is today. With the volume of new research in neuroscience, neurobiology, molecular biology, genetics, epigenetics, metabolic and integrative medicine, as well as psychopharmacology and addiction, the world of psychology and psychotherapy has changed the practice of patient care substantially. It is imperative that psychotherapists stay abreast of this research, develop relevant skills, and integrate multidisciplinary research and information into their practice. The opportunity to incorporate psychotherapy into patient care, comes at a pivotal and critical moment in our culture. As we face today’s challenges and the consequences of world events on our lifestyles, our relationships, our health, and our culture, it is imperative, for optimum patient care, that our varied disciplines share new modalities and evidence based-treatments, while integrating the rich tradition of psychotherapy. Membership in, and education through, The American College of Psychotherapy is the first and most important step in achieving unity, standardization, differentiation, competence and the recognition that inspires personal and professional growth.